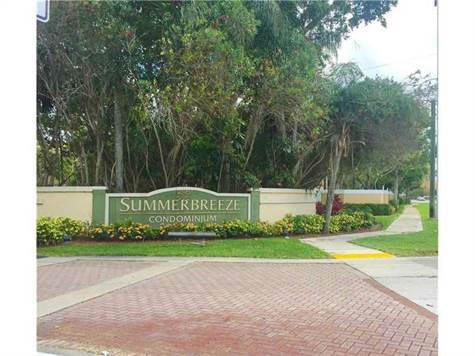 Summer Breeze Condo, Sunrise - Turn key, ground floor, corner unit with lots of light! Remodeled kitchen and bathroom with newer appliances. Laminate flooring in common area and carpet in bedroom. Bedroom has a walk in closet. Washer and dryer in unit. This is a well maintained community, with community center, gym, pool, spa and tennis courts. Soon to be gated! This is a great location, hurry it won't last!